1- Get XAMPP lite for Windows, and install it at the root of your C drive. 2- Browse to C:xampplite and double click on setup_xampp.bat . 4- Open your browser and go to this address: https://localhost/. From the menu on the left column, choose your preferred language. 5- Now that the interface displays a language that you can understand, click on phpMyAdmin (on the left column once again). 6- Enter “wordpress” (without quotes) in the “Create New Database” Field, and select “utf8_unicode_ci” in the drop down box in the next field (as shown in the picture below). Click on Create. The Xampp setup is now complete. 7- Download the Latest Version of WordPress Here and unzip it under C:xampplitehtdocs. 8- You should now have a wordpress folder under C:xampplitehtdocswordpress. Browse to the folder, and you will see a file named wp-config-sample.php. Open it in your Notepad or your Favourite Text Editor and replace the default values by the paragraph Quoted below. 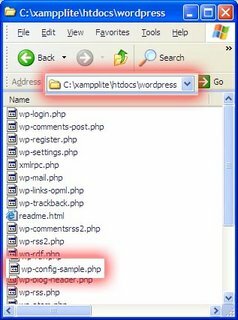 Save the file as wp-config.php (under the same folder). 9- Open your browser and navigate to https://localhost/wordpress/wp-admin/install.php or just https://localhost/wordpress/wp-admin .When you will open one of the above links , you will get a screen as below. 10-Just click on “Next Step” and enter some details for your Database Username and Password you will get a screen as shown below. 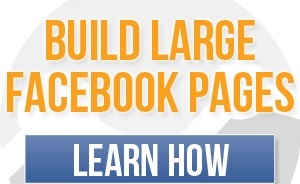 Just Enter any name that you want for your blog and type your Email address. At this point, you have successfully installed WordPress on your personal computer. Now you can go ahead and work on WordPress offline and as soon as you like what you did, you can easily duplicate that online. I use this method most times whenever I am offline without the reach of internet. I publish posts offline to see how it will look like before publishing it online for people to read. So, go ahead and do this and if you encounter any problem. feel free to come back here to ask for more help. Feel free to share this blog post for everyone benefit by using the sharing features below. If this is your first time here, feel free to subscribe with your email, RSS, follow me on Twitter, become my friend on Facebook and become my fan at www.facebook.com/jadesojiadegbulu so as to get more effective posts that would help you make real money online, build online businesses and also create wealth.